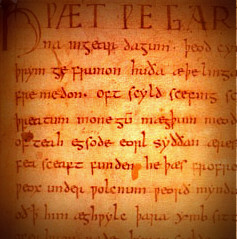 beoshewulf | Þæt wæs god blog! Behind a mask of cutting-edge, machine-learning technology, Faception continues the ancient and outdated practice of physical profiling (racial and otherwise). The final episode of Medieval Avengers features Panteleimon (Medical Martyr), Vitus (Miracle Child), and Cyriacus (Philanthropic Exorcist). You might be interested in my new blog: Dēor-hord: a medieval and modern bestiary. This blog reimagines medieval animals. It’s the collaborative endeavour of a medievalist and an artist. The Medieval Avengers posts continue, this time with two badass soldier saints, one of whom continues to be famous throughout the Christian world, the other whose veneration didn’t long outlast the Middle Ages. This episode of Medieval Avengers looks at two saints with atypical heads: Denis (Super Cephalophore) and Christopher (The Giant Dog-head). A subgroup of the Medieval Avengers is the team of animal-friendly supersaints: Eustace (a huntsman who wouldn’t hunt), Giles (a.k.a. Deer Man), and Blaise (a first-aider with a pig sidekick).